AQP is working on a collection of artworks inspired by the poems of Emily Dickinson. We are looking for art in all mediums except video. Please send up to five high resolution (300 dpi or higher) images and identify the poem/line(s) the piece is drawn from in your cover letter. Submissions close December 1, 2018. Submit here. All artist who submit will receive a complimentary copy of the book. Artists selected to contribute will receive 3 copies of the book and discounts on aditional copies. 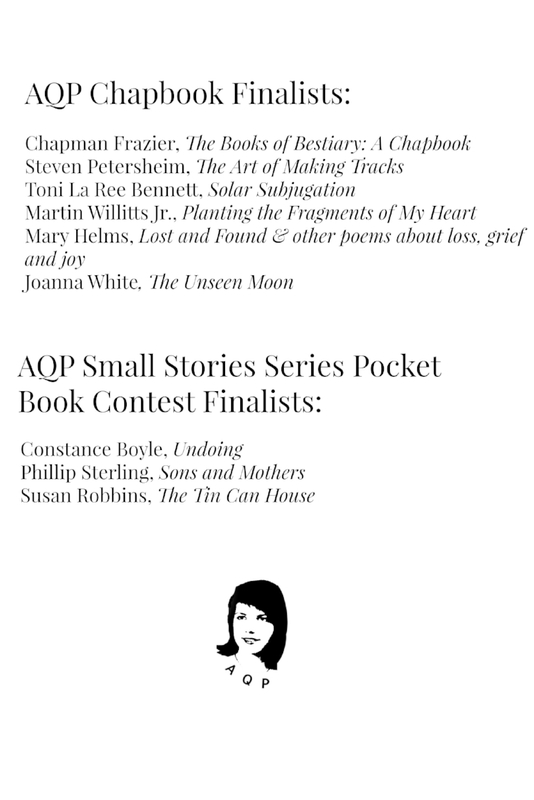 As with journal submissions, AQP reserves First Publishing Rights. After the work is published by AQP, the rights revert back to the author or artist.